Rowing machines are now a great alternative for individuals who do not wish to try out the treadmills. If you wish to get a rowing machine for your use, you may get a number of brands among which one of the best one is Velocity Exercise. The brand has been manufacturing various exercise products such as exercise bikes, spins, and many others. Since last few years, it was known to have only one single rowing machine that ruled and this was Velocity Fitness Programmable Magnetic Rower CHR 2001. You can also use weighted clothing to get your body in shape while doing your favorite excercises . Recently, the brand has also come up with another rowing machine model by the name of Velocity Exercise Vantage Magnetic Rowing machine. 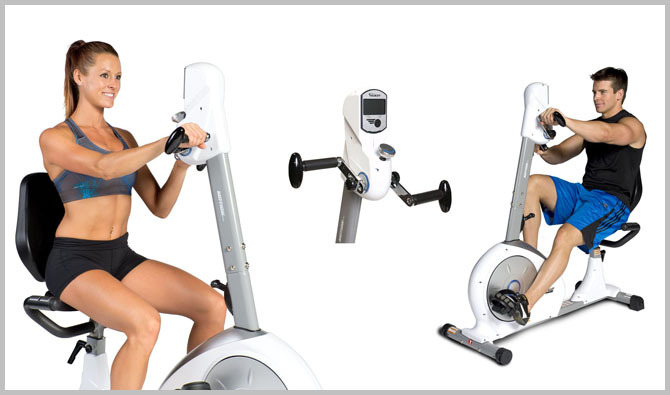 Both of these models are available on various online shopping sites and are known among the best rowing machines till date. This is one of the first rowing machines from the brand Velocity Exercise. It includes DMC or Drum Magnetic Control that is helpful for friction production that helps in building good muscle strength. The whole outer frame of the machine is made up of aluminum to provide light weight and durability at the same time. The seat is made of foam pad to provide a comfortable seating while rowing. Proper balance is maintained due to the pedals with slip foot. The LCD displays information such as heart rate, calories burnt and others for better working out. ● Aluminum outer frame for durability and light weight. ● Drum Magnetic Control for better friction. ● The LCD displays pulse rate, calories burnt, power, distance covered, time, strokes per minute and row count. ● 12 programs available including both pre-set and manual. ● Heart – rate tracker features in the machine. The second rowing machine that has been manufactured by the brand after CHR 2001 is Velocity Exercise Vantage Magnetic Rowing Machine. This rowing machine is made for those individuals who wish to experience gym like features at home. The fan structure of the machine along with the flywheel offers a strong frame to the machine. Some of the features of CHR 2001 has been included in this machine also such as that of aluminum frame and comfortable seating. The seat is of 19.5 inches and also the console is of large size for better reading. ● 16 programs, recovery mode, along with 5 user profiles and 5 heart tracker. ● The fan and flywheel are located near the resistance system to provide the noiseless feature to the machine. ● Padded hand bar for the comfort of the hands. ● The machine can be simply folded up and can be rolled upon a pair of wheels to shift from one location to another. ● The seat of the machine is not only comfortable but also is durable in nature. Also it can be glided easily while you are working out. The LCD screen is also over sized for better reading of the information gathered while you are working out. It displays heart beat rate, calories burnt, time, distance covered and many others. If you are not very much comfortable on treadmills or exercise bikes, one of the best ways to lose out some calories is on rowing machines. Obviously there are a number of brands available in the market to provide you with a number of rowing machine models. But if you think to get the best and that also at an affordable cost, then getting a rowing machine from the brand Velocity Exercise can be the best alternative.